California’s dog bite laws are governed by Civil Code § 3342. Under this code section, a dog owner can be held strictly liable in many circumstances where the animal attacks or bites someone regardless if the dog had not bitten anyone before or if the owner’s had no knowledge of its aggressiveness. The purpose of the strict liability law is to prevent dogs from becoming a hazard by placing the burden of ensuring community protection on the dog owner1. 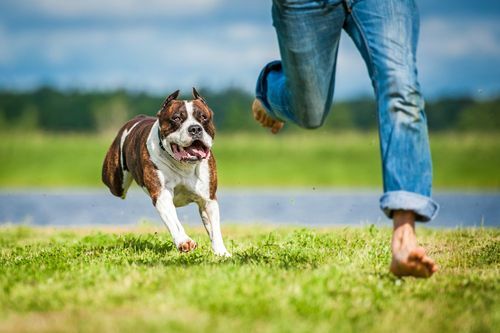 As a victim, you can sue a dog owner or anyone else who has control, care or custody over the animal for a dog bite or attack under the elements of strict liability. Persons who are lawfully on private property include anyone expressly or impliedly invited to be there or who are present to perform a duty required by law such as a mail person, meter reader, police officer, fire-person, census taker, or contractor or any other person on the property by implied invitation. An injury can be any harm caused by the dog such as a broken limb caused by knocking you over. Also, if the injury is a bite, you need not show that the skin was broken in order to collect compensation2. A trespasser or person unlawfully on private property cannot use the state’s strict liability statute as the basis for compensation3. A trespasser can be anyone who is not lawfully on such property by express or implied invitation. However, there may be limited circumstances where a trespasser could sue for damages. For instance, you might be able to sue under negligence law by showing that the owner had its trained attack dog intentionally attack you for trespassing although you posed no imminent risk of harm to the owner or anyone else on the property. Otherwise, your being on the property unlawfully even out of curiosity or any other innocuous reason will not allow you to sue under strict liability principles4. California has a pure comparative fault statute that limits the liability of the defendant if the plaintiff or injured victim contributed to the incident. But if a dog was displaying aggression toward you by growling or barking at you and you decided to pet the dog anyway and it bites you, it is doubtful that you could hold the owner liable to any degree. Kennel workers, veterinarians and veterinarian assistants cannot use strict liability to sue either their employer or whomever else with whom they have a contractual arrangement in caring for the dog as they assume the risk of injury as part of their occupation5. You can also sue under common law for injuries if you can demonstrate that the owner’s negligence caused your injuries or if the dog has a history of prior bites or attacks on humans. A prior bite does not apply to trespassers6. For instance if the dog jumps on a toddler and injures it, then the parents could allege that the owner did not use reasonable caution in restraining the animal. In other situations where a dog has injured but not bitten you such as knocking you down and breaking your arm, then you would have to prove that the owner was negligent in allowing this to happen and that this occurrence or incident was foreseeable. In such cases, prior knowledge of the dog’s propensities would be need to be demonstrated and that the owner failed to exercise reasonable care in preventing the attack. 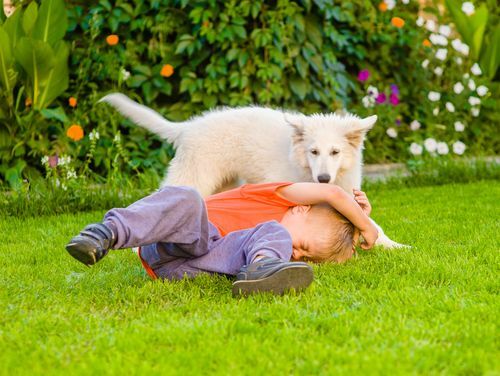 Local municipalities often have their own dog bite laws that can impose strict liability on owners in any situation where the dog either bites someone or knocks over an individual and causes injuries. Like any other personal injury case, you are entitled to damages once you prove all the elements. Damages are proved by producing evidence of your injury and its consequences generally by way of direct visual observation of the injury to the jury, photographs, medical reports and records, medical or other expert testimony, employment or school records, your own testimony, and any other evidence of damages. Punitive Damages are only awarded in limited cases where the defendant dog owner’s conduct was especially egregious or despicable or constituted malice, fraud or oppression7. In such cases, the owner would likely have had knowledge of the dog’s aggressiveness and did very little or nothing to prevent the animal from viciously attacking or killing someone without provocation. In the context of dog bites, you would have the burden of showing malice by the dog’s owner and be able to prove it by the higher civil standard of “clear and convincing” proof. Malice is essentially conduct that was extremely reckless or evinced a conscious disregard for the safety of others while being aware of the probable consequences of such conduct8. Otherwise, if the defendant intentionally directed or caused the dog to injure you, then this could also constitute malicious conduct. You can produce proof by obtaining incident reports of past attacks on humans from the police department or animal control agencies. Neighbors could attest to the animal’s behavior toward them or their personal observations of how the owner cared for the dog. Further, certain breeds are inherently dangerous or aggressive but this fact alone is insufficient to show reckless conduct. Specific evidence of the dog’s aggressive and dangerous behavior towards humans, and not towards other animals, will be needed. But if the dog had a history of previous attacks on humans, then the owner’s standard of care should be heightened. For instance, what measures did the owner take to protect the public? Was the dog secured within an enclosed area or how did the owner try to deal with the dog’s aggressive behavior? 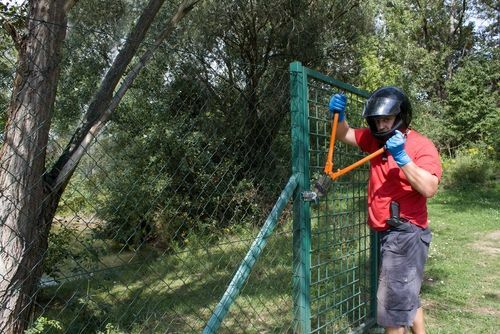 If the dog escaped from a fenced or gated area and attacked someone, had the dog escaped before and what reasonable and necessary precautions did the owner take to prevent such an occurrence, knowing that if the dog escaped that it was highly probable that a human would be attacked? 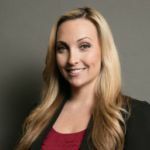 If the dog had been trained as an attack dog, then any serious injury that it caused on an innocent victim after escaping could subject the owner to punitive damages. If punitive damages are awarded, they must be reasonable and related to the extent of the injury, the egregiousness of the defendant’s conduct and if the conduct showed a pattern of such behavior9. The defendant’s wealth is also taken into consideration10. If you have a claim for a dog bite or attack, then you have two years from the date of the incident to either settle the matter or you will have to file a lawsuit in the appropriate court or risk losing your right to claim damages11. If the victim is a minor, then the statute of limitations for filing the action is tolled or stayed until the victim attains the age of 18. In cases where a dog bites or attacks someone on the owner’s property, the defendant’s homeowner’s insurance will generally cover any injury claim. There are approximately 885,000 reported dog bites each year in the U. S. according to the Centers for Disease Control and Prevention, which accounts for nearly one-third of all claims presented under homeowner’s coverage and is the most common claim brought under such policies. 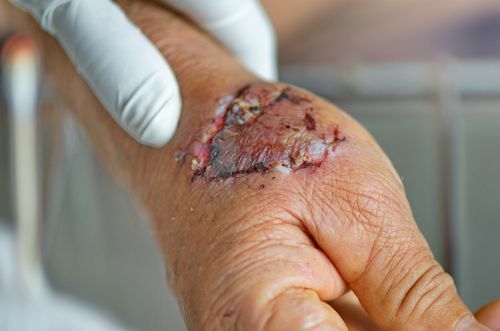 Dog bites can result in substantial medical expenses for reconstructive surgery and treatments. A notorious dog attack case in San Francisco in 2001 resulted in the largest reported verdict for a dog bite case in California. It involved a woman who was mauled to death by a Presa Canrio, a breed known for its large size and aggressive propensities. The victim’s partner sued and won a $1.5 million judgment against the dog’s owners who had previously been prosecuted and respectively convicted of 2nd degree murder and involuntary manslaughter. Further, a homeowner’s insurance policy may not cover dog bites that occur off the owner’s property. Any dog owner who owns or rents a residence should consider coverage and carefully read the policy’s exclusionary provisions to determine which breeds are not covered and if bites or attacks occurring off the premises are covered. There are umbrella or liability rider policies that can be purchased that are broader in coverage. As a victim, your attorney will see if the defendant has homeowner’s or renter’s insurance coverage for the incident. Most policies are at least $100,000. If there is no coverage, then you would have to look to the defendant’s personal assets to satisfy any judgment. 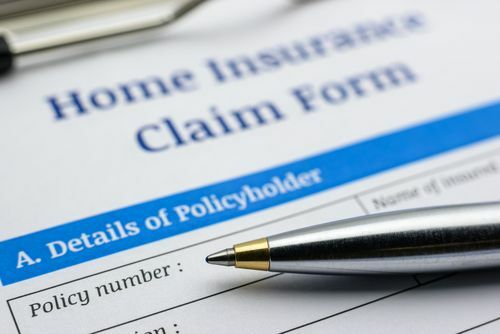 Most policies will also have guest medical protection that are usually around $5000 for smaller incidents where the the victim does not want to file a claim. If the injuries are more extensive, then a full claim will be filed that may request thousands more and up to the entire policy limits. Should you obtain a substantial damages award against an uninsured defendant, then collecting the judgment can be problematic, costly and time-consuming since you or your attorney will have to uncover the defendant’s seizable assets. Any punitive damages award is not covered by homeowner’s or renter’s insurance and must be collected from the defendant’s own assets. A defendant could also file bankruptcy and discharge the judgement unless you or your attorney can convince the bankruptcy court that the defendant’s conduct constituted malice, oppression or fraud. If the defendant was a renter, then the landlord or property owner could be held liable if you can demonstrate any negligence on their part. 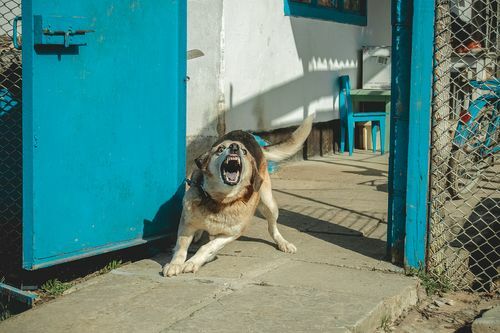 If there were previous complaints about the dog’s aggressive or vicious behavior or a prohibited breed was allowed on the rental property, then the property owner’s or landlord’s failure to remove the animal could impose liability on them. In most cases where a dog bites someone there are no repercussions for the dog other than possible quarantine for a short period of time. However, a court or the local animal control agency could determine that the animal is vicious or potentially dangerous. In such situations a court can require that the owner secure the dog at all times if outside or that it be in an enclosed or fenced area that is escape-proof and child-proof14. If the dog is taken off premises, it must be on a secured leash at all times and under the control of a reasonably responsible adult who is aware of the dog’s aggressive behavior. If the owner does not abide by these conditions and the dog attacks someone, the owner could be held criminally liable. The dog’s status as vicious or potentially dangerous can be removed if the dog has no further incidents for 3-years15. The victim or any other concerned person can initiate a dangerous dog hearing including neighbors or public authorities. Even if the dog has no history of having bitten or attacked someone, if it did seriously injure or kill someone then a hearing can still be held on whether to euthanize the dog or whether other restrictions on the dog should be implemented. If you would like to discuss a pending case with a personal injury attorney contact the Aizman Law Firm at 818-351-9555 for a free confidential consultation16.